I enjoyed an all day bus tour today into the interior of the island. 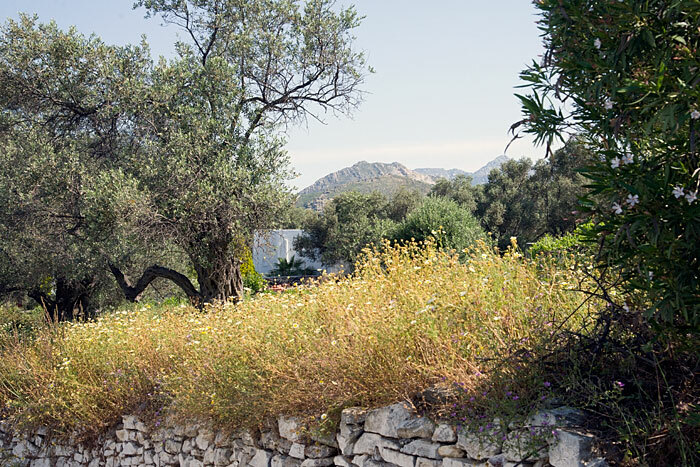 Naxos is the largest island in the Cyclades and I won't see nearly all of it, but here's a taste of the countryside. This is a nice summary photo: mountain peaks, white washed buildings, a massive number of olive trees, spring blooms, and stone work.